The following is CARP’s Submission to the Standing Committee on Human Resources, Skills and Social Development and the Status of Persons with Disabilities. You can also read the submission in PDF format by clicking here. CARP welcomes this opportunity to provide the Standing Committee on Human Resources, Skills and Social Development and the Status of Persons with Disabilities with our views on advancing inclusion and quality of life for Canadian seniors. CARP is a national not-for-profit, non-partisan association with 300,000 members across Canada. Most of our members are retired and enjoy above average education and income. All are concerned with the quality of life of Canadians as we age. For more information about CARP please see www.CARP.ca/about. CARP believes that older Canadians deserve to live in dignity and with respect, regardless of income level, family support and/or health challenges. Investing in older Canadians can improve the quality of their lives and eliminate problems that could otherwise arise. See our answers to the three questions posed by the Committee below. How can the Government improve access to housing for seniors including aging in place and affordable and accessible housing? A. Recognize housing is a serious seniors’ issue. 83.3% of CARP members rated this as very important or extremely important in our May 2017 survey of 4,638 members. B. Ensure social housing designated for seniors is occupied by seniors. While set percentages of social housing projects are often designated for seniors, we hear anecdotally that these are not enforced, and seniors are displaced in favour of families. C. Encourage funding of, and remove barriers to, innovative housing arrangements such as co-housing or shared spaces. The Barrie Chapter of CARP finally got approval for financing and zoning of a co-housing arrangement (4 people); it took five years for the group to successfully purchase a home from inception (banks wouldn’t finance, others wanted 20%) and ensure they had the correct zoning. The group succeeded, at least in part, because an angel investor eventually provided them with support. D. Encourage other levels of government to set building codes for accessibility and universal design such as walk-in showers, stroller/scooter accessible homes and large closets built on top of each other to allow elevators. If seniors can age in place, they aren’t displaced. E. Recognize the particular challenges to vulnerable seniors in emergency housing (homeless shelters). For example, they are more likely to be physically hurt or robbed. In 2017 in Vancouver, 21% of those accessing homeless shelters and sleeping unsheltered were seniors 55+. On the Sunshine Coast, 60% of those using the homeless shelter in Sechelt were over 55. The optimal solution is to ensure seniors are safely housed. Create senior-specific affordable housing and even emergency shelters in areas where there are high volumes of older clients. F. Encourage metropolitan Vancouver and Toronto to levy progressive property taxes that can be offset by income taxes paid, with exemptions for seniors. For example, increasing the mill rate for homes which cost more than $1 million, $2 million and $3 million. This surtax would be offset against earned income, thus increasing the cost to foreign owners who are not paying taxes in Canada without penalizing those who are. This should reduce housing prices in these metropolitan areas and reverse the situation recently revealed in B.C. where the incomes of Vancouver residents are lower than the incomes of those in the outlying suburbs, despite significantly higher property values in Vancouver. An exemption would need to be created for retirees who have paid years of taxes on their earned incomes and are now living off assets and reduced incomes. For more information about this recommendation see the work of Josh Gordon on Vancouver’s housing affordability crisis. How can the Government improve income security for vulnerable seniors? A. The biggest challenge to seniors’ income security is affordable housing. Recent increases in housing costs point to factors at play beyond fundamentals such as population growth, local incomes and interest rates which indicates there are other influences driving up prices which must be addressed. B. Seniors are impacted directly and indirectly by the current housing crisis/high prices. Directly, they may struggle to find affordable housing. 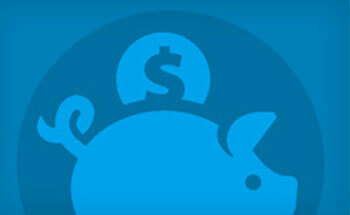 Indirectly, seniors may also use their savings or take on debt to help an adult child or grandchild purchase a home. C. Recognize that the face of senior poverty is overwhelmingly female. Median income in 2013 for senior women was $21,900 compared to $32,300 for senior men. Following are recommendations to address this issue. a. Support caregivers in financial need. CPP has provisions for child-rearing. Consider extending such support to caregivers, but have contributions funded from general revenues rather than from CPP contributions. In formal caregivers supply an invaluable service to seniors, saving. Their contribution should be recognized so they will continue to offer this service – and save the government an enormous amount in health care. b. Provide support to caregivers like respite care and adult day cares, so they can continue to work while providing significant care to seniors in need. c. Introduce non-refundable tax credits for caregivers. Currently, tax credits for caregivers are only a benefit to those who pay taxes. Those individuals who are most in need of support, caregivers who have quit their jobs to provide full-time care or those who are only earning limited incomes, should be first in line for government support. With refundable credits, because they pay no tax, they get no benefit from this program. a. Provide it automatically – so people do not have to file forms which aren’t even provided as a default on the forms registry. b. Institute a system (as in the UK) where individuals are not required to file their own tax returns. As a minimum have this apply to low-income wage earners and pensioners. c. Work with local agencies to have individuals who have gained the trust of vulnerable seniors assist in their applications for income support. d. Recognize that many seniors do not use the internet. A 2013 general social survey found that only about 54% of senior women and 59% of senior men had used the internet in the past 12 months. Internet usage is lower among lower income seniors. Do not require these people to make applications for support via a medium that is challenging and potentially unavailable to them. a. Reform RRIF withdrawal policies so people are less likely to run out of funds before they run out of days. b. Introduce an amnesty on RRIF withdrawals – transfer to TFSA – for low income, low asset seniors. Due to low financial literacy, low wage earners are often encouraged to invest in RRSPs even though they realize little in the way of tax savings for doing so. When they later withdraw those funds, they suffer from high clawbacks on their GIS. An amnesty would protect the savings of these most vulnerable individuals. c. Allow all those who have already maximized their CPP contribution by age 65 to earn an increased pension if they continue to work (and don’t take their CPP). d. Provide education and information about the benefits of deferring CPP and OAS. e. Provide incentives for individuals to defer CPP and OAS past age 70.
f. License and provide a supportive tax framework for deferred annuities. between existing payments and the poverty line. h. Reduce GIS clawbacks. Individuals receiving GIS face high clawbacks from the federal government on earnings. When this is combined with provincial supports such as means-tested housing they face a very high effective tax rate. This must be reduced. F. Protect those who take steps to save for their own retirements. a. Improve pension protection. No one should find themselves financially vulnerable in old age because our laws haven’t protected them. b. Support the provincial governments to introduce a best interest standard, ban embedded commissions, harmonize regulation between the different providers of virtually identical products and regulate credentials and titles in the investment industry. investors who have been wronged. because there are no other verifiable income numbers available. b. Coordinate relief programs between levels of government. For example, in Ontario many people who are eligible for relief on their energy bills through such programs as the Ontario Electricity Support Program (OESP) or Low-income Energy Assistance Program (LEAP) are not aware of the programs – or that they qualify. high cost homes and don’t pay income taxes. How can the Government improve the overall quality of life and well-being for seniors including community programming, social inclusivity and social determinants of health? A. Launch a campaign to fight ageism, which seems to be regarded as more socially acceptable than racism or sexism. Negative stereotypes about ageing impact the way we treat older Canadians and the way older Canadians feel about themselves. We need to fight ageism just as we fight other forms of discrimination, particularly as some older people are vulnerable and may not be able to defend themselves. B. Recognize that there are significant differences between the young-old, middle-old and frail-old. Create differentiated programs for these different stages of aging. C. Also recognize that our most vulnerable citizens age much more rapidly. Amanda Grenier, a noted gerontologist at McMaster University considers individuals aged 50 as seniors in such instances. D. Acknowledge the rights of individuals to take risks. People can manage at home with some pain and decreased mobility. Many would rather cope with these challenges than live in care. Finding ways to make this possible should be a priority. E. Encourage a balance of protection and accessibility when building new homes. It may be safest to build residences for seniors on undeveloped land with easy access to fire fighters. However, seniors age better and maintain their independence longer if they live in neighbourhoods where they can walk to parks and nearby amenities. F. Promote home-based assisted living and long-term care, similar to home daycares. We need a balance between rules and affordability. G. Encourage investment in assisted living homecare. 40% of people in long-term care don’t want to be there. The Canadian Institute for Health Information (CIHI) estimates 1/3 of individuals living in residential care facilities don’t need to be there. H. Hospitals tend to put seniors in long-term care unnecessarily. Seniors in hospitals are far more likely to end up in long-term care than those at home. Establishing effective assisted living for people at home could mitigate this issue. I. Introduce basic paid dental care for Canada’s lowest income seniors. Dental costs are very high and older people are more likely to need dental care, but many cannot afford it. J. Eliminate all co-pays on pharmaceuticals for lowest income seniors, for the same reasons as above. 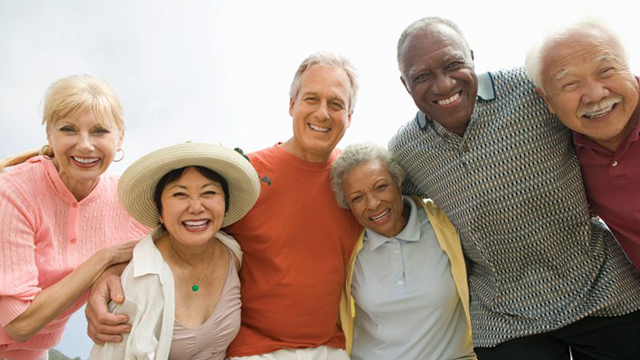 L. Increase the number of seniors’ wings in community centres or senior centres. M. Invest in world-class transit. Losing a license shouldn’t mean losing your quality of life. Public transit is essential for the social participation of seniors. In Canada, 5% of senior men and 14% of senior women require transportation assistance, and this increases to 28% and 54% for the oldest age group (90+). Among women aged 85+, approximately 25% have identified transportation as a barrier to participating in more activities. CARP is pleased the Standing Committee on Human Resources, Skills and Social Development and the Status of Persons with Disabilities is seeking input on these critical issues. We hope that the findings will help advance inclusion and quality of life for Canadian seniors. CARP would be pleased to answer any questions related to this submission, and to provide any further input that might be of use to the Committee.